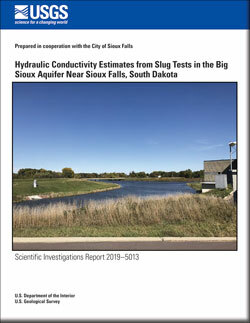 Eldridge, William G.; Medler, Colton J.
Eldridge, W.G., and Medler, C.J., 2019, Hydraulic conductivity estimates from slug tests in the Big Sioux Aquifer near Sioux Falls, South Dakota: U.S. Geological Survey Scientific Investigations Report 2019–5013, 23 p., https://doi.org/10.3133/sir20195013. 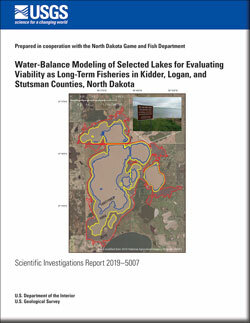 Lundgren, Robert F.; York, Benjamin C. ; Stroh, Nathan A. ; Vecchia, Aldo V.
Lundgren, R.F., York, B.C., Stroh, N.A., and Vecchia, A.V., 2019, Water-balance modeling of selected lakes for evaluating viability as long-term fisheries in Kidder, Logan, and Stutsman Counties, North Dakota: U.S. Geological Survey Scientific Investigations Report 2019–5007, 22 p., https://doi.org/10.3133/sir20195007. 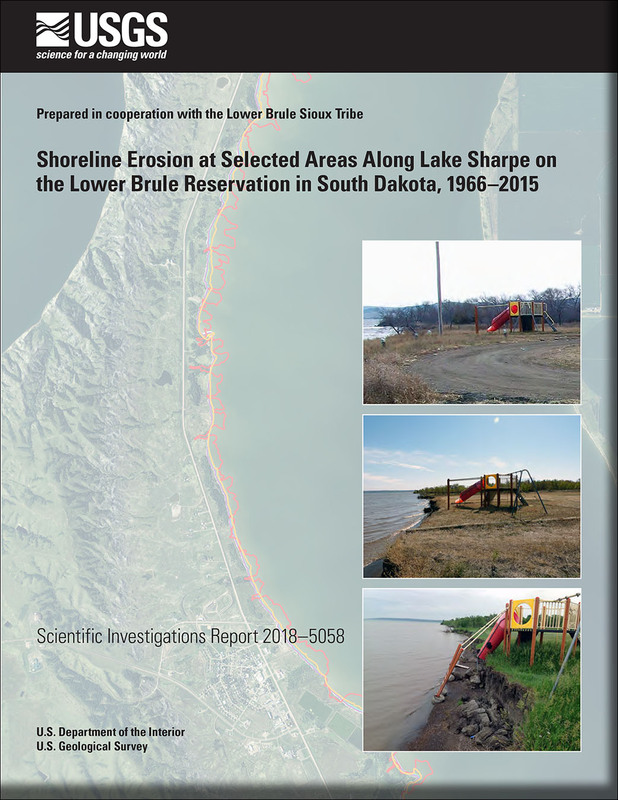 Kolars, Kelsey A.; Vecchia, Aldo V.; Galloway, Joel M.
Valder, Joshua F.; Haj, Adel E.; Bristow, Emilia L.; Valseth, Kristen J.
Valder, J.F., Haj, A.E., Bristow, E.L., and Valseth, K.J., 2019, Delineation of selected lithologic units using airborne electromagnetic data near Cedar Rapids, Iowa (ver. 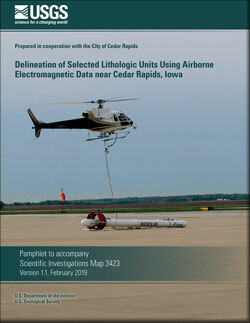 1.1, February 2019): U.S. Geological Survey Scientific Investigations Map 3423, 2 sheets, 9-p. pamphlet, https://doi.org/10.3133/sim3423. 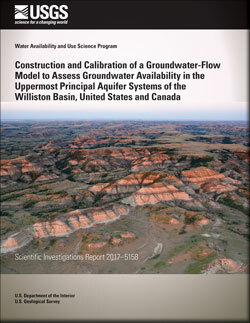 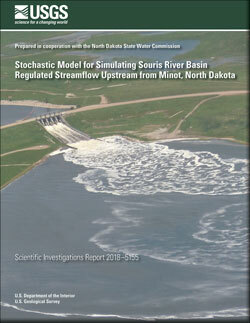 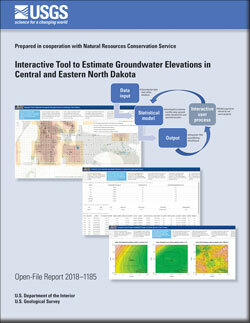 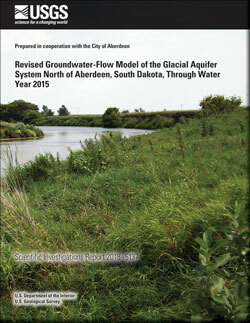 Nustad, Rochelle A.; Damschen, William C.; Vecchia, Aldo V.
Nustad, R.A., Damschen, W.C., and Vecchia, A.V., 2018, Interactive tool to estimate groundwater elevations in central and eastern North Dakota: U.S. Geological Survey Open-File Report 2018–1185, 24 p., https://doi.org/10.3133/ofr20181185. 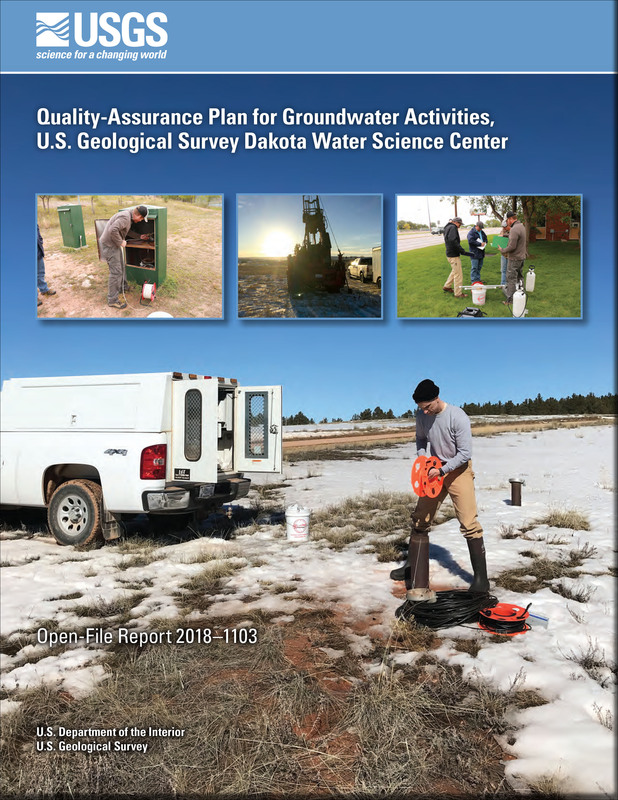 Valder, Joshua F.; Carter, Janet M.; Robinson, Steven M.; Laveau, Christopher D.; Petersen, Joel A.
Valder, J.F., Carter, J.M., Robinson, S.M., Laveau, C.D., and Petersen, J.A., 2018, Quality-assurance plan for groundwater activities, U.S. Geological Survey Dakota Water Science Center: U.S. Geological Survey Open-File Report 2018–1103, 28 p., https://doi.org/10.3133/ofr20181103. 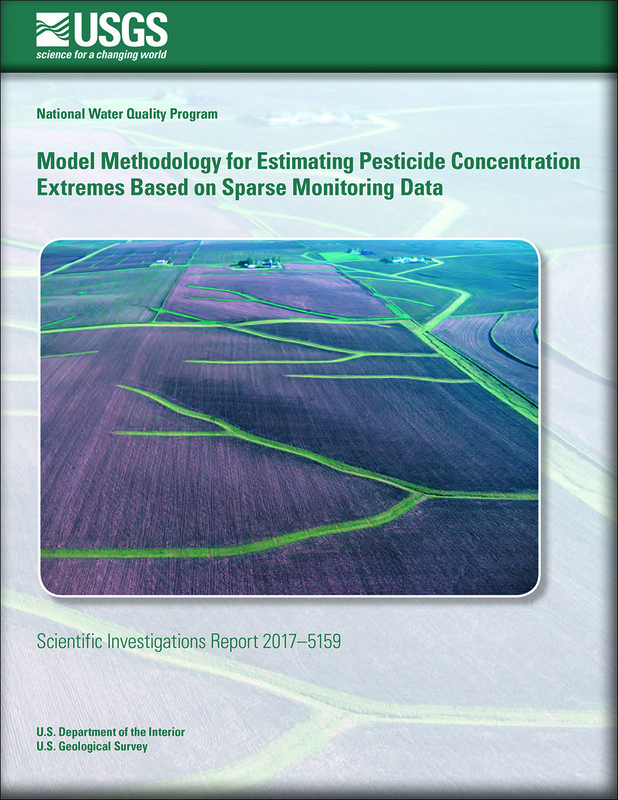 Vecchia, A.V., 2018, Model methodology for estimating pesticide concentration extremes based on sparse monitoring data: U.S. Geological Survey Scientific Investigations Report 2017–5159, 47 p., https://doi.org/10.3133/sir20175159. 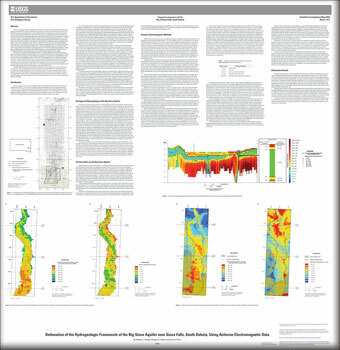 Valseth, Kristen J.; Delzer, Gregory C.; Price, Curtis V.
Valseth, K.J., Delzer, G.C., and Price, C.V., 2018, Delineation of the hydrogeologic framework of the Big Sioux aquifer near Sioux Falls, South Dakota, using airborne electromagnetic data: U.S. Geological Survey Scientific Investigations Map 3393, 2 sheets, https://doi.org/10.3133/sim3393.